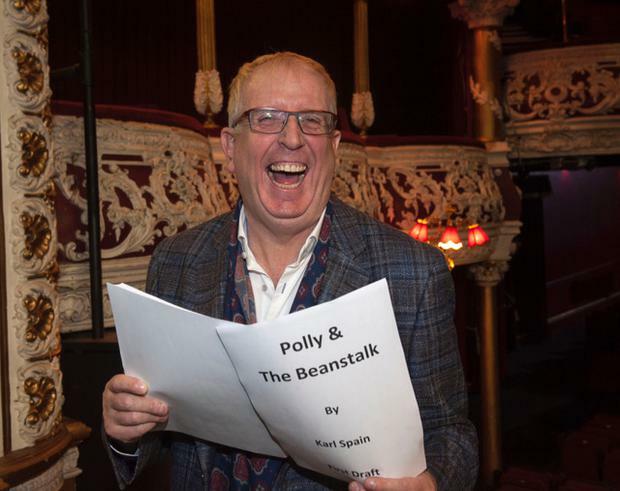 Auditions are being held this weekend for roles for children in this year's Olympia Panto, Polly and the Magic Lamp. Children from the ages of 7 to 17 are invited to audition to appear alongside former Mrs Brown's Boys star Rory Cowan, singer Jake Carter, Dancing with the Stars' Erin McGregor, and social media star James Patrice. Ryan Andrews of Fair City fame and Les Mis star Rob Vickers are also in the Christmas panto. The Olympia panto usually casts over 100 children every year and not all of them have come via the stage school route. Producer Stuart O'Connor tells Independent.ie, "In the past we have had children come in completely off the street who would have never attended a stage school or had formal training of any kind and they just come in and we see this natural ability, this natural talent. "We do end up taking them because that's the energy we want on the Olympia stage. It's hard to find. Sometimes if kids have been trained to tend to maybe lose a bit of that raw energy. Not everybody gets the opportunity to go to stage school so they shouldn't be put off coming to audition. They stand as much chance as anyone if they have the ability." The open auditions will take place on Sunday September 30 from 10.30am at the Clasac Theatre, Alfie Byrne Road, Contarf, Dublin 3. Children from age 7 to 11 will be seen at 10.30am while those aged 12-14 will be seen at 2pm and the older children aged 15+ will be seen from 4.30pm and all are asked to wear suitable clothing for dancing and to bring a recent photos. Successful children must be available for panto rehearsals over the mid-term break from October 29 to November 4. Polly and the Magic Lamp runs from Friday December 21 until January 6 with matinee and evening shows. Tickets are on sale now via Ticketmaster and the Olympia. Phone Bookings on 0818 719 330. It's pantomime time, so get your tinsel on and beware the evil queen!